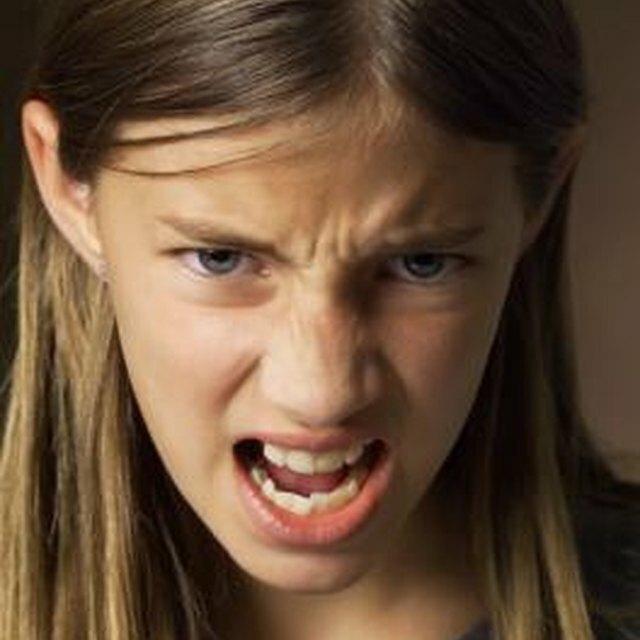 Dealing with a rebellious teenage daughter can be especially challenging. Being a teenager can be a confusing and difficult time for many. During this time, girls' bodies are changing and maturing. Girls are also trying to figure out who they really are, which may involve experimenting with different hobbies and styles of dress. It is normal for teenagers to want more privacy and independence from their parents, but it can get difficult when your daughter turns rebellious. While each girl is different, it is important to handle her issues with dignity and respect. Let your child know you love her. While this may seem simple, it is important for rebellious teens to hear it. Sometimes feelings of being unacceptable to parents makes teenage girls become rebellious. Give her some distance. If you are being too controlling, it may cause her to rebel and make you feel that you have lost control. Let her experiment with different hairstyles and clothing without being too judgmental. Set limits with your daughter. However, if your daughter feels the rules are too harsh, she may begin to pull away. Negotiate rules, such as curfew, with her. When you set limits, it is important that your daughter knows the consequences of breaking the rules ahead of time and that you actually follow through with implementing them. Look out for warning signs of depression, such as sadness or loss of interest in activities. This could be a root cause of anger, loss of self-esteem or rebellion. Contact your child's pediatrician to discuss your options if this is the case. Treatment may be something your child needs in order to fix her behavior. Recognize that some arguing is normal and that every teen is different. Do not compare your daughter to yourself as a teen, your siblings as teens, her friends or her siblings. This can further damage her self-worth, self-esteem and make her feel as though you are not actually listening to her needs. Listen to your daughter when she expresses her desires and needs. Do not brush her off or tell her that what she is saying is childish or stupid. Listen with an open mind and do not interrupt her when she is speaking. Discuss issues with therapists and school counsellors if your child has seemingly become out of control. They may be able to talk with you about your individual case and what can and should be done for your child. Sometimes sending your child to an alternative school may be part of the answer. A school counsellor or therapist can help you make that decision. Send your daughter to treatment if her rebellion has been the result of an eating disorder, drug use, major depression or alcoholism. While this is by no means a quick fix, it can dramatically help your child and give her the tools to continue living her life.